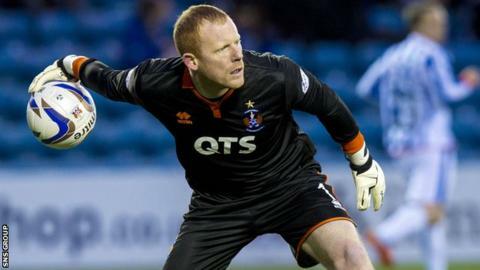 Kilmarnock goalkeeper Craig Samson has agreed an early release from his Rugby Park contract. The 31-year-old, who began his career at Killie, returned to the Ayrshire club in 2013 and made 38 appearances last season. Samson had another year to run on his deal but had lost his starting place to summer signing Jamie MacDonald. Capped at Under-21 level, he has been involved in the Scotland squad before but never selected to play.